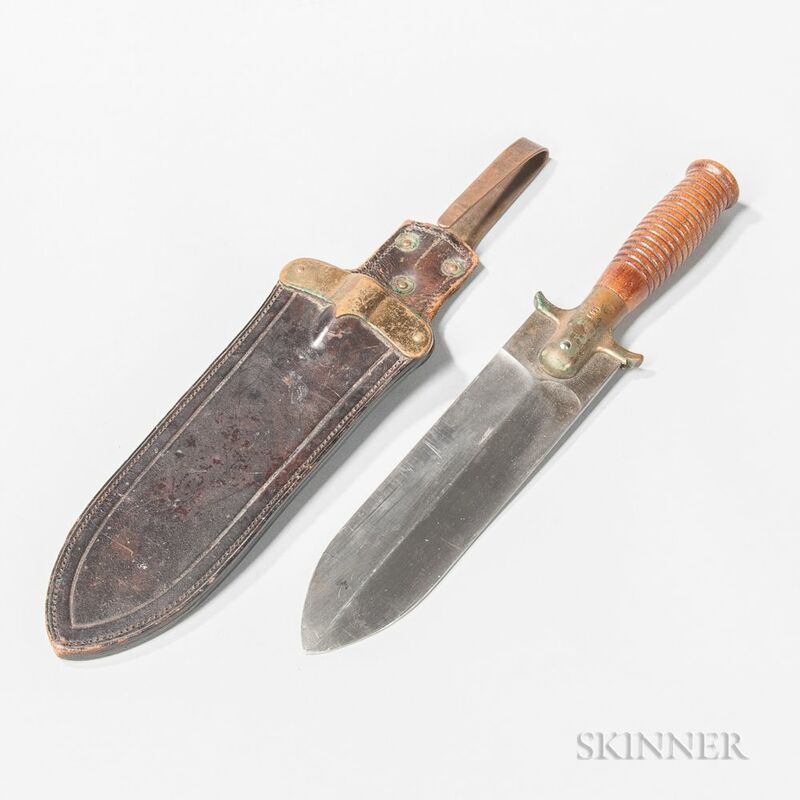 U.S. Model 1880 Hunting Knife, wooden grip, brass counter-guard marked "SPRINGFIELD/ARMORY" on one side and "1466," leather scabbard with brass fittings, marked on the belt hook "R.I.A.," blade lg. 8 1/2, overall lg. 13 1/2 in. Some light wear on the scabbard but in overall good condition.